Passover begins tonight! For some, that means a house that has been thoroughly cleaned in accordance with tradition (plus the very modern desire to "spring clean"), an interactive dinner that lasts for hours ("Is it time to eat yet? "), and matzo. Lots and lots of matzo. 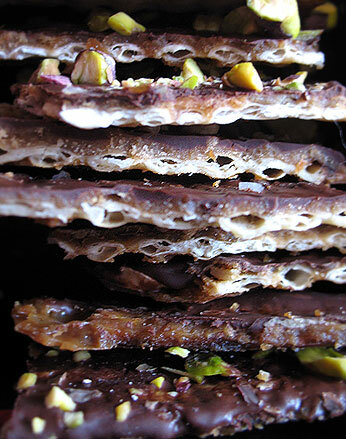 There are lots of suggestions out there for what to do with all that matzo, which, let's face it, can get a bit boring. Here are a few recipes that look so good, they almost make me want to buy some extra boxes. First, from a charming little blog called Matzo Outside the Box, we have Brie en Matzo Croûte. Another inventive brie (not the cheese, but the method of preparing matzo) comes from Jayne Cohen's recent book, Jewish Holiday Cooking. Her Savory Artichoke Matzoh Brie (pg 479) would be a lovely brunch offering. 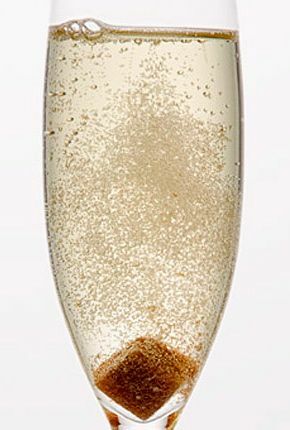 ...and finish with this Kosher Champagne Cocktail from Gourmet!